Our major parish fund raising event. Parishioners are encouraged to put their hand crafting and creative skills into practice. We hold at least up to 12 stalls every year. Additionally, we also have music selected by our DJ ‘Jeff’ and the now traditional and popular ‘hot dog’ stand with a great selection of Italian Panini available to buy and enjoy. It is a wonderful opportunity where we together as a community, share our skills, gifts and talents and contribute to our parish funds. This is our major fund raising event of the year, past funds have contributed in part to the recent restoration, renovation and refurbishment of the church. Five wonderful amazing Grand Raffle Prizes - Please Click here for details on the five wonderful prizes! A chance to win one of the five fabulous prizes can be yours by purchasing a raffle ticket from Jamie, (please click here) these will be on sale after all our weekend masses. Look out for Jamie he will be located in the church foyer! The price per ticket is £10.00 and parishioners can purchase as many tickets as they wish. Good luck to all who purchase a ticket or tickets! Please Click on this link for details on raffle tickets and prizes. Please also visit the 'justgiving.com' page as set up by Jamie. Read Jamie's Story Here on his JustGiving web page. -Jamie is raising money to help R.C. Diocese of Southwark. As you may be aware the Canonisation of Archbishop Oscar Romero takes places in Rome on Sunday 14th October. Our own Cathedral of St. George contains the National Shrine of the Archbishop, so it is appropriate that the National Mass of Thanksgiving will take place at St George’s Cathedral on Saturday 3rd November 2018. This will be a very special occasion and we have been asked to support the liturgy on that day. 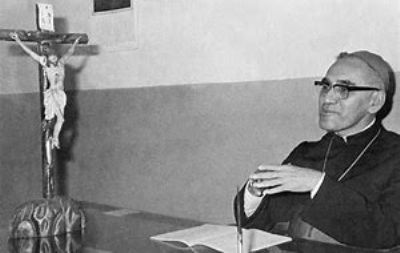 Southwark Music Diocese Committee, chair, Nick Pointer says '' Our main feature of the Autumn term will be the celebration of the canonisation of Archbishop Oscar Romero. This will take the form of a celebratory Mass in St. George's Cathedral, Southwark, the home of Romero's national shrine. We have been asked to form a diocesan choir to support this event. The attached Flyer and Booking Form give all the details you need (see below). There is no charge for this event, but you do need to commit to a full day rehearsal and an early morning rehearsal on the day of the event''. 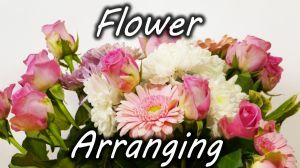 Two of our parish members will be giving a flower arranging workshop in our parish hall, the workshop will give you steps and skills in the art of flower arranging for different occasions, do please come and join the workshop. The workshop will last for an hour. This is a free event but as part of the fundraising for the Capital Appeal and donations will be welcome! There will also be a bookstall with some Wild Goose books and an exclusive Iona 2019 calendar available, with all proceeds going towards the refurbishment of the abbey. The National Network of Pastoral Musicians (NNPM) has shared the following details of an interesting music liturgical workshop that will be held out of London. For full itinerary and booking details, please click on the links below. You will see some names you recognise. It looks like a great day, one worth attending. The Bishops of England and Wales will hold a National Eucharistic Pilgrimage and Congress in Liverpool next year. Eucharistic Congresses are gatherings of clergy, religious and laity which promote an awareness of the central place of the Eucharist in the life and mission of the Church. The last International Eucharistic Congress in England was held in 1908. The afternoon will be a series of presentations, allowing the delegates to choose three talks out of a set of nine to attend. The Diocese has been allocated places for 124 delegates. On Saturday 8th September, in the ACC Liverpool Echo Arena, there will be a six hour stage led event with two key note addresses, various presentations with music, drama, prayer and adoration. This day will be open to a general audience, and 10,000 people are expected. Southwark has an initial allocation of 570 delegate places. The invited speaker for the event is Bishop Robert Barron. 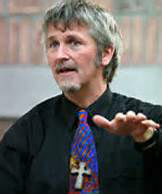 He is well known as an author, theologian and evangelist, particularly for his Word on Fire ministry. He has served as an auxiliary bishop of the Archdiocese of Los Angeles since September 2015. On Sunday 9th September the Congress Masses will be celebrated at Liverpool Metropolitan Cathedral followed by an outdoor procession. The numbers for the Cathedral will be limited so these also require booking. Visit the Archdiocese of Southwark - click here for more details. We are blessed with the diversity of our parish, hence parishioners are encouraged to cook their traditional family and / or national cuisine. The rich variety of food and the culinary skill of our parishioners attracts people from further afield who join us in breaking bread together. This is the annual parish event, following the sole Sunday 11.00 a.m. morning mass. For this event the church celebrates just the one mass this Sunday. Please watch this space for more details on this event, closer to the day, this is a placeholder for your diary. The beginning of the centenary year celebrations which will continue through 2017. At 12.30pm Bishop Pat Lynch will celebrate a special Mass at St George’s Cathedral in Southwark to mark the 99th birthday of Blessed Oscar Romero. 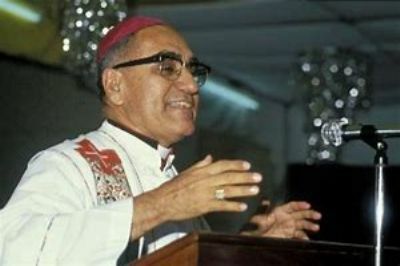 The Mass will be followed by refreshments in the nearby Amigo Hall and the showing of a rarely-seen Mexican film on Archbishop Romero’s life (with subtitles) called ‘El Cielo Abierto’ meaning ‘the open sky’. All are welcome. Friday 24th to Friday 31st August 2018. This year's theme is 'Joy of Mission'. or see the poster on the notice board at the back of the church for more information. This is one of the most popular events in our parish calendar, it is mostly held at the beginning of July, it provides an opportunity to bring us together as a community. It is a fun filled day with an opportunity to stay outdoors and enjoy the sun and our beautiful parish garden. Time: 12.00 p.m. to 4.00 p.m. following the 11.00 p.m. mass. Details:Our Annual Parish BBQ will be held on Sunday July 8th following the 11 a.m. Mass. This is our parish social event which brings us together as a community. Let us also use this occasion to raise much needed funds for the maintenance and renovation of our church and facilities. We would be very grateful if as many of you could support us as possible. Please see the sign-up sheets at the back of the church. Raffle Tickets. 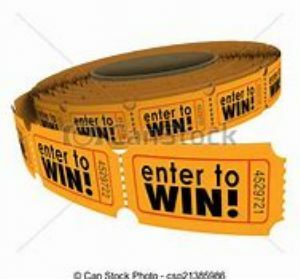 As part of our annual Parish BBQ and the fundraising event this year we have prepared two kinds of Raffle prizes, the usual raffle prizes which you will be able to buy on the day and a special raffle prize which you can buy separately any time after either our Sunday Masses or from the parish office. A. Two tickets to see Justin Timberlake for his World Tour Concert on Wednesday (evening)on 11 July at the O2 Arena, London. B. Dinner for two at any Ivy Collection Restaurant in London. At Exhibit B, Streatham Hill Branch. 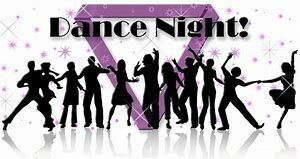 The parish music or dancing night is an event which is organized once or twice a year by some of the enthusiastic members of our parish, supported by our DJ, and parish band. It provides a wonderful opportunity to bond together by spending some time and enjoying the vast selection of music. DANCE NIGHT - Friday 13th July 2018 - YES! the popular dance night is returning on - Friday 13th July 2018 an eclectic mix of the best 80s, 90s, 00s & 10 s dance music, world music, jazz funk. ~ Tickets £5 (including snacks) available in advance from the church or on the door. Please come along for a night of great music and entertainment. Tickets will be sold in the parish office, after every weekend mass and on the door (if any are available). Buy your ticket now! This years conference will be held from 27th to 29th July 2018 at High Leigh Conference Center Hoddesdon, Hertfordshire. Booking forms are now out click here for details. For details and to book a place please click here. Justice and Peace Spring Assembly, (2nd June 2018): On behalf of Archbishop Peter Smith you are invited to attend the Archdiocese of Southwark, 2018 Spring Assembly held by the Commission for Justice Peace and Integrity of Creation to be held on the 2nd June at St.Mary's Church in Croydon. Entitled Laudato Si! Responding to the call of Pope Francis. 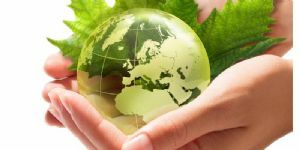 Begins with Mass celebrated by Bishop Patrick Lynch at 10.00 a.m.
We face the reality of human activities which are central to concerns for our environment and the urgent need to respond to the care for our Common Home. 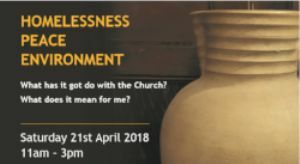 Ellen Teague keynote speaker, will give her account of the Pope's document to enable us to dialogue about how we can shape our future Diocesan Environmental Policy. welcome. Please bring lunch, tea and coffee will be provided. Access to the St Mary's Parish Centre is via the car park ramp, on the lower ground floor of the building. 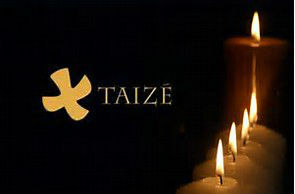 We will begin with Mass at 10.00 a.m.
To register with Eventbrite, please click here. Southwark Diocese Music Committee - has organised the following workshop. “The history of words teaches us that food is the fuel of relationships. The word ‘companion’, from the Latin com, (with) and panis (bread), reminds us that food feeds more than the physical body; it also nourishes generosity and friendship.”* In the eucharist, the breaking of bread has deeper significance in our lives. You will know that the bishops of England and Wales are holding a National Eucharistic Pilgrimage and Congress, ‘Adoremus’, in Liverpool, during September 2018. Here the gathering of clergy, religious and laity will promote an awareness of the central place of the Eucharist in the life and mission of the Church. Sessions within the congress will focus on Rites and Music for Eucharistic Adoration. This will be the central theme for today’s workshop. ‘With Whom One Eats Bread’ led by Canon Alan, will look at likely music to support the Congress. We will look beyond the Congress, and how this music can help our wider Parish communities. PLEASE SEND YOUR BOOKING FORM (click here)EARLY TO AVOID BEING DISAPPOINTED! All parishioners have been cordially invited to EXHIBIT B venue showcase on Wednesday 9th May 2018 from 7.00 to 8.30 p.m. A selection of complimentary drinks, snacks, bites and bar food will be available for all who attend the event to sample the evening. 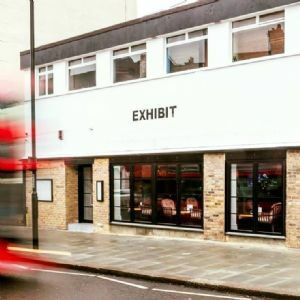 EXHIBIT B is a neighbourhood bar and event space in the heart of Streatham Hill. 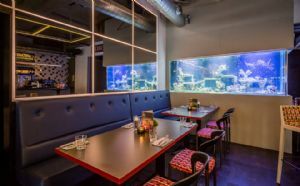 An ever-changing space for informal eating, drinking and socialising. 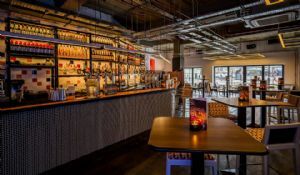 From weekend bottomless brunch, after work cocktails, late night partying, bar games, events and much more. 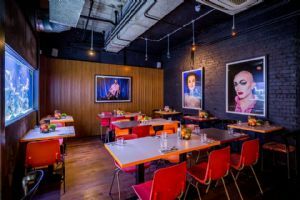 With a selection of private spaces for bar hire, private dining, screenings, karaoke, games rooms, silent discos or celebrating with friends the dedicated events team will ensure all functions are planned to perfection. EXHIBIT B also features South London’s only Silent Cinema. Intimate screenings where guests listen to the films through wireless headsets. All parishioners are welcome to come along and experience Streatham Hill's latest bar, restaurant, cinema and multi-event space. Join the choir for this wonderful celebration - coordinated by France Novillo. Rehearsals 14th April 2-5pm and 27th April Amigo Hall (next to the Cathedral). Please see the attached flyer for details click here. 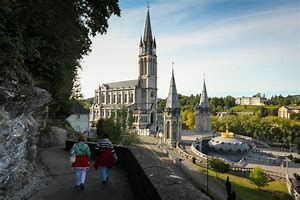 The Mass for Migrants will take place in St George's Cathedral this year on Monday 7th May at 11 am, with a preceding banner procession at 10.45 am. 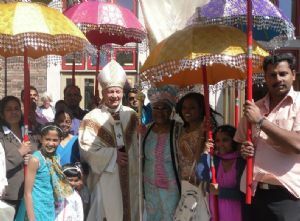 This service jointly celebrates diversity within Southwark, Westminster and Brentwood Diocese. All are warmly welcomed to join us for this Mass. 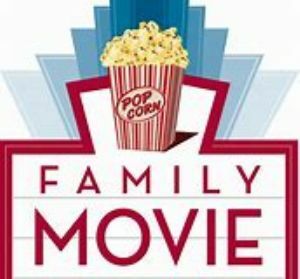 Saturday 14th April between 2 p.m. - 5 p.m.
Friday 27th April between 7 p.m. - 9 p.m. 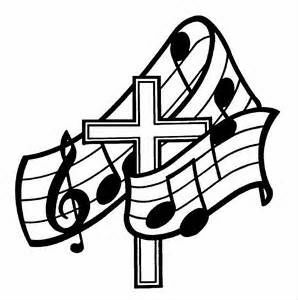 Please email Frances Novillo, the Music Co-ordinator for this service if you wish to join the Migrants' Mass Choir:contact email address click here or telephone 07714 204 201. Southwark’s Christian Unity Commission are organising a day of talks entitled ‘Social Justice and the Common Good’ in conjunction with the Anglican Diocese of Southwark. This will take place on 21st April 2018 between 11 a.m.- 3 p.m. at St. Hugh's Church, Crosby Row, SE1. There will be a number of talks relating to Justice and Peace and Bishop Paul Hendricks will give a closing speech. 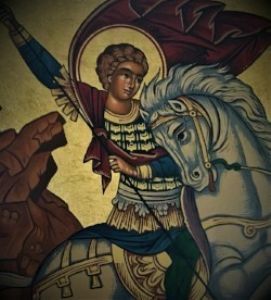 On Monday 23rd April we celebrate St George's Day. There will be a Chapter Mass at 6.30 p.m. in St. George's Cathedral, at which Archbishop Peter will be the Principal Celebrant, followed by a reception in Amigo Hall. All are very welcome. DANCE NIGHT - Friday 20th April 2018 - YES! the popular dance night is back a week today - Friday 20th April 2018 an eclectic mix of the best 80s, 90s, 00s & 10 s dance music, world music, jazz funk. ~ Tickets £5 (including snacks) available in advance from the church or on the door. Please come along for a night of great music and entertainment. 1st rehearsal - Saturday 24th March 2018 starts 10:30 a.m.
2nd rehearsal - Wednesday 28th March 2018 at 09:00 a.m.
Chrism Mass Wednesday 28th March 2018 starts 10.30 a.m.
at Lumen URC, 88 Tavistock Place, WC1H 9RS. Organised by the Dioces e of Southwark Music Committee. Parish music workshops all details can be found here, please click on this link. Please click here for the booking forms. 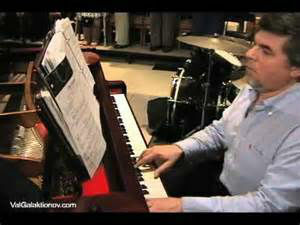 Attending BOTH rehearsals is a must to sing with the choir details on the above link. 1st rehearsal - Saturday 10th February 2018, start 10:00 a.m.
2nd rehearsal - 17th February 2018 at 09:30 a.m.
Mass Rite of Election Saturday 17th February 2018 starts 10.30 a.m.
Parish music workshops all details can be found here, please click on this link. P lease click here for the booking forms. 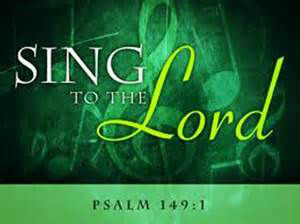 Attending BOTH rehearsals is a must to sing with the choir details on the above link. at St. James' Church Piccadilly. Song practice at 6:45 p.m.
Organised by the Diocese of Southwark Music Committee. 1st rehearsal - 18thFebruary 2017 starts 10:30 a.m.
2nd rehearsal - 4thMarch 2017 at 09:30 a.m.
Mass Rite of Election Saturday 4th March 2017 starts 10.30 a.m.
1st rehearsal - 01st April 2017 starts 10:30 a.m.
2nd rehearsal - 12th April 2017 at 09:00 a.m.
Chrism Mass Wednesday 12th April 2017 starts 10.30 a.m.
Venue : In the Church. Doors open at 7.15pm. Admission by ticket only. St. Simon & St. Jude, R.C - Streatham. 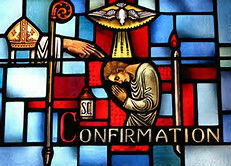 Sacrament of Confirmation for young people in our parish on Sunday 11th June 2017 at 12:15 p.m. Details of the Confirmation Programme can be found here, (please click on this link). 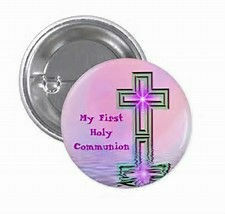 Saturday 17th June First Holy Communion Mass 12.15 p.m. 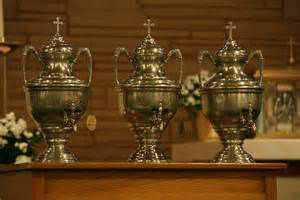 Details of the Holy communion programme can be found here, (please click on this link). Sunday 01st October 2017 - Parish International Lunch Day. To celebrate the parish international food festival where we come together as a community while celebrating our diversity. Starts from 12.00 noon. 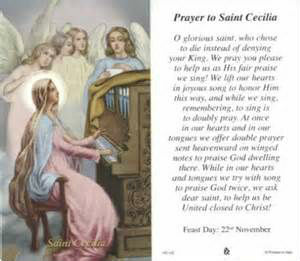 For details view the parish newsletter (Click on this link). Time: to be confirmed likely to be in the late afternoon from 3.00 p.m.
Come and join us for an afternoon of beautiful music sung by Paul Tabonne and Lara Martins, the Opera couple from West End’s - Phantom of the Opera. Part proceeds to support the worthy charity 'www.Help 4 Refugee Children.com'. Click here to view the web site for further information. 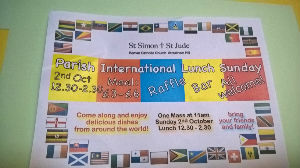 Come and join in the St. Simon & St. Jude R.C. 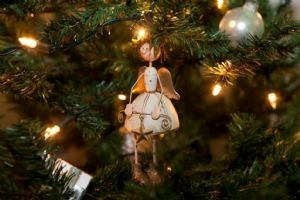 Parish Christmas Bazaar, on Sunday 26th November 2017 from 12 noon. Following the 11.00 am morning mass, this is the annual parish event. 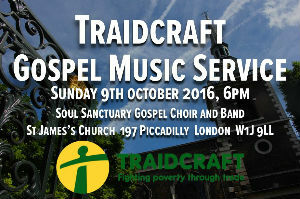 This will be held on Weds 12th October 8pm St. Peter's Italian Church Clerkenwell Road London. Click on this link to view the poster details. Saturday, 29th OCTOBER 2016 - Led by Mag Shepherd. View the flyer details, click on the link here. Come and join in the St. Simon & St. Jude R.C. 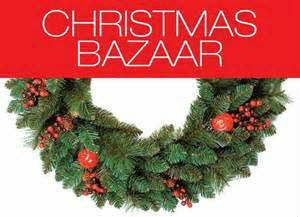 Parish Christmas Bazaar, on Sunday 27th November 2016 at 12 noon. Tuesday 6th December 7.00pm with a rehearsal from 5.30pm. For further details please see the attached flyer, click on the link here please.